As a client, how do I sign up for Anow Connect? 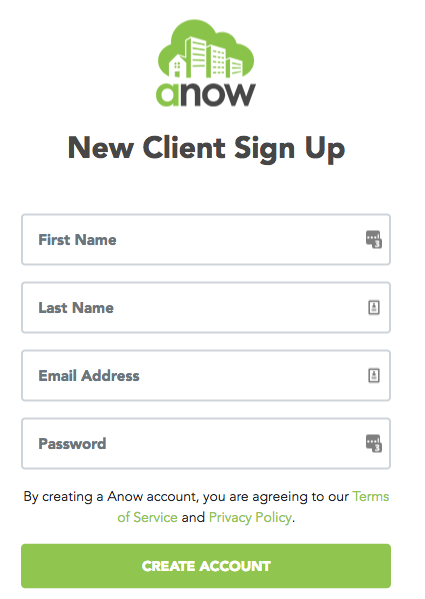 If you've been sent a link to an online Order Form or Client Access portal, you'll need to sign up for a free client account in order to start taking advantage of Anow Connect! You will see the Client Login page when you first enter the link to either the Order Form or the Client Access portal in your browser. Select Create an account. You will be rerouted to the New Client Sign Up form at this time. 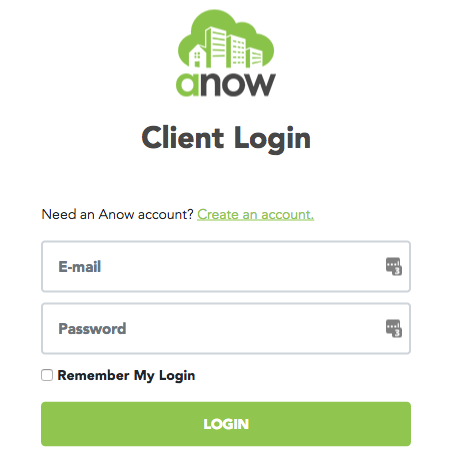 All you need to enter here is your first name, last name, email address, and the password you want for your Anow Connect account. Finally, click Create Account to confirm your information!